Watching television in the 70s and 80s meant being inundated with commercials for soft drinks, toys, and breakfast cereals among many other things. Some of you probably have the same jingles embedded into your minds as I do. It was the late 70s when my family went to a nearby A&W Root Beer stand where they served the food on a tray with hooks that latched over your car window. Thus began my love for root beer. Decades later, I can still recall the pleasant smell of the food and the taste of my first root beer. While I rarely drink soft drinks anymore, I like to have the occasional root beer, especially for New Year’s Eve. 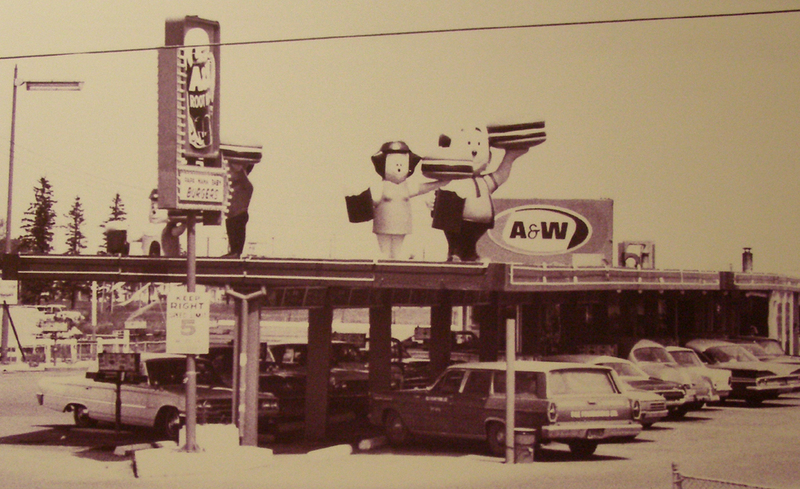 Cincinnati is home to The Root Beer Stand, originally an old A&W. They make their own root beer, serve coneys and more, and used to have a large collection of ball caps hanging from the ceiling. 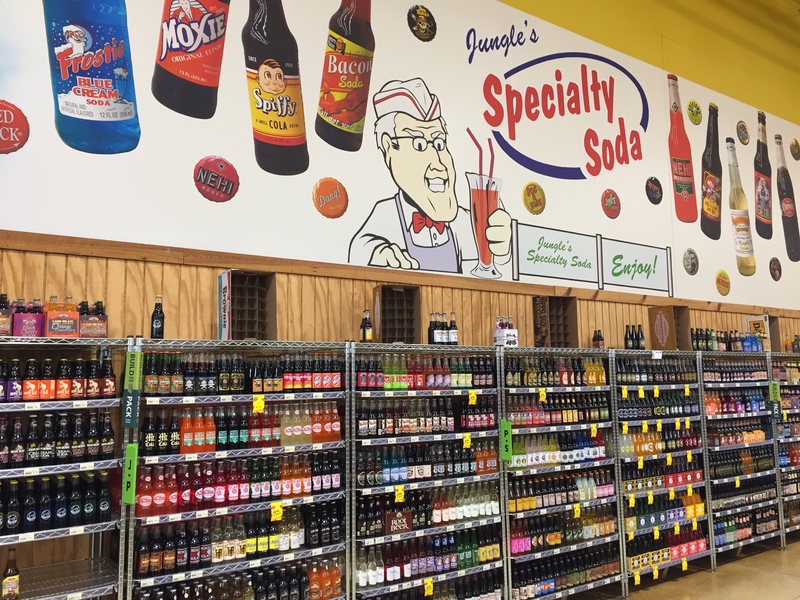 Root Beer fans in Cincinnati are also lucky enough to have Jungle Jim’s International Market where they stock an entire wall of various root beers and other specialty sodas from all over the place. At the top of my list is Point Premium Root Beer from the Stevens Point Brewery up in Wisconsin. I’ve had way over 100 different kinds of root beer, which brings me to the point of this post. While traveling (occupational hazard of being a musician on the road) through New Mexico, I stopped somewhere along the way, probably for a snack and/or a drink, and a label with striking artwork jumped out at me from the other products. “Red Foil Root Beer, that’s a new one!” I thought to myself. I looked at the ingredients to make sure there wasn’t any caffeine, noted that it used honey, and made my purchase. Much to my surprise, it turned out to be one of the best root beers I have ever tasted! Unfortunately, it would be the first, and last time I experienced Red Foil Root Beer. As it turns out, Red Foil Root Beer was made by Brad Krauss at Abbey Brewing Company, which is located in the Our Lady of Guadalupe Trappist Abbey in the Chama River Wilderness Area near Abiquiú, New Mexico. Say that ten times fast! During that same excursion through New Mexico, I experienced the “real night sky” for the first time in my life. It was fairly cold that night and the stars in the sky seemed extremely bright. Living in Cincinnati doesn’t provide an exceptional view of the night sky unless you visit the Cincinnati Observatory, so I decided to pull over and check it out. It took a bit to find a place to pull off the road, but once I did, it was well worth the effort. No traffic, no noise but the wind, just peace. I climbed upon the hood of my old car and stared for quite some time, humbled by the shocking number of stars I could see for the first time in my life. It was an overwhelming and moving experience. So this, dear reader, is a simple tribute to a long-gone root beer and to that beautiful night sky that provided me with an entirely new perspective on my place in the universe.